Cool image time. The photo on the right, rotated, cropped, and reduced to post here, was taken in September by the high resolution camera of Mars Reconnaissance Orbiter (MRO) and was part of the November image release. Click on the image to see the entire photograph at full resolution. The uncaptioned release dubs this feature as “Small Eruptive Vents South of Pavonis Mons.” In truth, these vent pits are located almost exactly the same distance from both Pavonis Mons, the middle volcano in the line of three giant Martian volcanoes, and Arsia Mons, the southernmost of the three. The image is interesting for several reasons. First, note the bulge surrounding the vent, making this look almost like a miniature volcano all its own. In fact, that is probably what it is. When it was active that bulge was likely caused by that activity, though it is hard to say whether the bulge was caused by flow coming from out of the vent, or by pressure from below pushing upward to cause the ground to rise. It could even have been a combination of both. To my eye, most of the bulge was probably caused from pressure from below pushing upward. The edge of the bulge does not look like the leading edge of a lava flow. Still, this probably happened so long ago that Martian wind erosion and dust could have obscured that leading edge. That this is old is indicated by the dunelike ripples inside the large pit, and the pond of trapped dust in the smaller pit. Because of the thinness of the Martian atmosphere it takes time to gather that much dust, during which time no eruptions have occurred. One more interesting detail: If you look at the pits in full resolution, you will see that, based on the asymmetrical wind patterns between the west and east rims, the prevailing winds here are from the west. Located as it is just to the east of the gigantic saddle between Arsia and Pavonis Mons, this wind orientation makes sense, as a saddle between mountains tends to concentrate the wind, much like a narrowed section in a river produces faster water flow and rapids. As for why the wind blows mostly from the west, my guess (which should not be taken very seriously) is that it is probably caused by the same meteorological phenomenon that causes this generally on Earth, the planet’s rotation. The channel and nearby oval depressions are both related to the flow of lava. Narrow lava flows can create channels. The cooling of the top of the channel will form a roof over the flow, creating a tube beneath the surface. After the lava stops flowing the tube can empty, leaving a subsurface void. The roof will then collapse into the void forming the oval surface features. I have added arrows to the image to draw your eye to the features that extend south in line with those oval depressions, eventually widening out to resemble a river delta, with the obvious rill probably indicating the lowest point in that delta. Though the oval depressions are likely sections of a lava tube that collapsed, the features in line with those depressions suggest that the tube itself might still exist below the surface to the south, feeding into that delta where the rill meanders. It is also possible that my desire to find underground voids here, where glacier ice might possibly exist, might be skewing my conclusion. It could also be that the lava tube ended at these depressions, and what the features indicate is a wide surface flow, later embellished by the smaller flow of the meandering rill. Cool image time! In continuing my exploration of this month’s Mars Reconnaissance Orbiter (MRO) image release, I found two interesting images of small craters, one as part of that image release, the other found completely by accident. The map on the right, taken from the MRO HiRISE archive page, shows the locations of these two images. Both are located in the lava plains that surround the giant volcano Pavonis Mons, the central volcano of the three volcanoes to the east of Olympus Mons. Previously, I have done posts focusing specifically on both Pavonis Mons and Arsia Mons. Not only is the geology of these gigantic volcanoes fascinating, there is evidence that ancient glacial ice lurks in lava tubes on their slopes, making them potentially prime real estate for future explorers. The first image, labeled #1 on the image above, was taken in January 2018 to get a better look at a small crater on the surrounding lava plains, and was part of the MRO March image release. I have cropped it to post here, focusing on the crater itself. For the past two weeks JPL’s image site has been releasing a string of images taken by Mars Odyssey of the smallest of Mars’ four giant volcanoes. 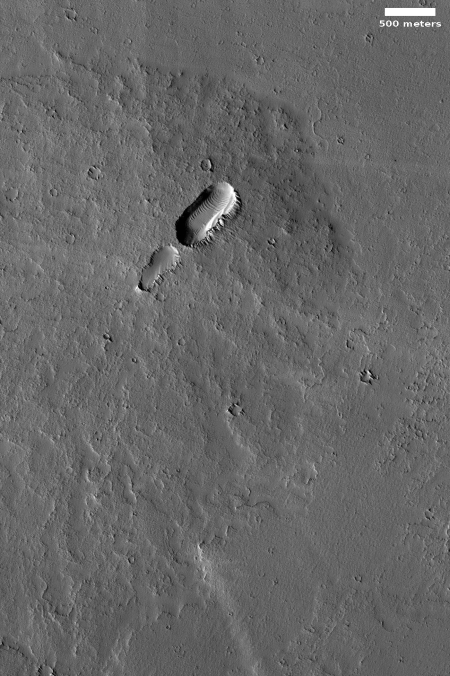 Pavonis Mons is one of the three aligned Tharsis Volcanoes. 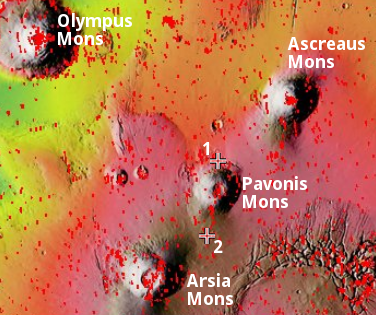 The four Tharsis volcanoes are Ascreaus Mons, Pavonis Mons, Arsia Mons, and Olympus Mars. All four are shield type volcanoes. Shield volcanoes are formed by lava flows originating near or at the summit, building up layers upon layers of lava. The Hawaiian islands on Earth are shield volcanoes. The three aligned volcanoes are located along a topographic rise in the Tharsis region. Along this trend there are increased tectonic features and additional lava flows. Pavonis Mons is the smallest of the four volcanoes, rising 14km above the mean Mars surface level with a width of 375km. It has a complex summit caldera, with the smallest caldera deeper than the larger caldera. Like most shield volcanoes the surface has a low profile. In the case of Pavonis Mons the average slope is only 4 degrees. 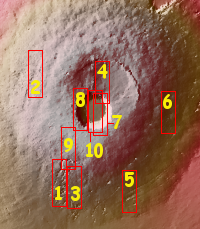 The image on the right is the context image, annotated by me to show where all these images were taken. 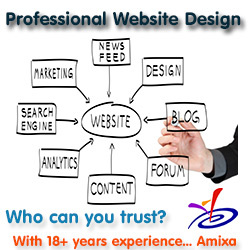 The images can accessed individually below. Each of these images has some interesting geological features, such as collapses, lava tubes, faults, and flow features. Meanwhile, the central calderas are remarkable smooth, with only a few craters indicating their relatively young age. The most fascinating geological fact gleaned from these images is that they reveal a larger geological trend that runs through all of the three aligned giant volcanoes to the east of Olympus Mons. The linear and sinuous features mark the locations of lava tubes and graben that occur on both sides of the volcano along a regional trend that passes thru Pavonis Mons, Ascreaus Mons (to the north), and Arsia Mons (to the south). This trend probably also indicates the fundamental geology that caused all three volcanoes to align as they have. Arsia Mons is of particular interest in that water clouds form periodically above its western slope, where there is also evidence of past glaciation. Scientists strongly suspect that there is a lot of water ice trapped underground here, possibly inside the many lava tubes that meander down its slopes. These facts also suggest that this might be one of the first places humans go to live, when they finally go to live on Mars.